Abstract—As the goal of conserve battery power in very dense sensor networks and ensure the reliability of data, some sensor nodes must be put into sleep mode while other sensor nodes remain active for the sensing and communication tasks. With the feature of large amount of data for wireless sensor networks, high data redundancy and low energy of nodes, we propose the sensor nodes data fusion algorithm based on time-driven network data aggregation with the combination of sensor nodes scheduling and batch estimation. Least sensor nodes are scheduled in cluster to meet the conditions of the acquisition cycle and coverage area to a minimum the time of sensor nodes keep in working state to save network energy, while introducing data fusion mechanism based on batch estimation to enhance the reliability of fusion data. Simulation results show that the algorithm is effective to reduce network energy loss and significantly improve the reliability of the fusion data, and is applicably used in structural health monitoring environment. Index Terms—Data fusion, scheduling, sensor network, time-driven. 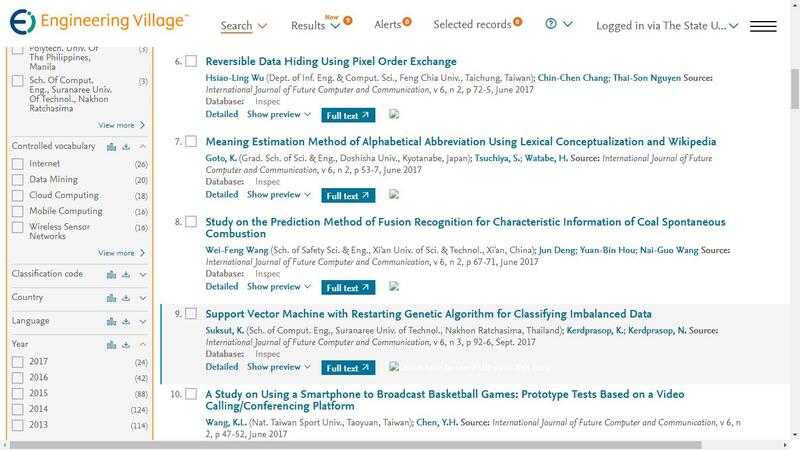 Cite: Kaihong Zhang, Cong Li, and Wenhui Zhang, "Wireless Sensor Data Fusion Algorithm Based on the Sensor Scheduling and Batch Estimate," International Journal of Future Computer and Communication vol. 2, no. 4 pp. 333-337, 2013.